While Purge Tees only flush a system, these handy fixtures also replenish the hydronic system after being flushed. Canarsee has a range of Webstone Purge & Fill Valves for every residential heating system. The 41672 from Webstone Valves is a 1/2” Threaded Pro-Pal Expansion Tank Pro Service Valve w/ Hose D.. The 50613W from Webstone Valves is a 3/4” Sweat (Solder) Brass Ball Valve w/ Hose Drain, Full Port (..
Webstone 58613 3/4" Sweat (CxC) Purge & Fill Pro-Pal .. The 48613 from Webstone is a 3/4” NPT Threaded Purge & Fill Ball Valve w/ Hose Drains. It's used.. The 50433W from Webstone Valves is a 3/4” Sweat (Solder) x NPT Threaded Union Brass Ball Valve w/ Ho.. The 48614 from Webstone Valves is a 1” NPT Threaded Purge & Fill Ball Valve w/ Hose Drains. It's.. The 58614 from Webstone Valves is a 1” Sweat (Solder) Purge & Fill Ball Valve w/ Hose Drains. It.. The 48615 from Webstone is a 1-1/4” NPT Threaded Purge & Fill Ball Valve w/ Hose Drains. It's us.. The 58615 from Webstone Valves is a 1-1/4” Sweat (Solder) Purge & Fill Ball Valve w/ Hose Drains.. The 58655 from Webstone Valves is a 1-1/4” x 1-1/2” Sweat (Solder) Primary/Secondary Purge Tee. It c.. 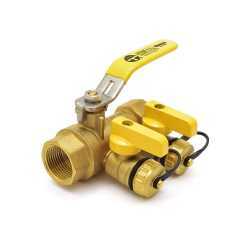 The 50435W is a 1-1/4” Sweat (Solder) x NPT Threaded Union Brass Ball Valve w/ Hose Drain, Full Port..